I am still not ready to write about my feelings about this election. I am trying to fully experience and fully understand all that I am feeling, all the implications without reducing them to words just yet. With that said, however, I give you my new favorite website. Change only began on Tuesday. Please continue to be an active part of bringing about the change we need in America. Find the issues that matter to you and make your voice heard. America is a country “of the people, for the people, by the people”, but the people must be involved. Participate. This Administration is asking to hear from you. Speak up! Unpack and organize my bedroom and closet. Install my detatchable shower head. Unpack the box marked “Priority 1 Books”. Unpack my knives and spices. My bedroom has to be in order as close to immediately as possible. I have to be able to retreat from the mayhem of boxes and bags, close the door and find order and peace. My sanctuary. 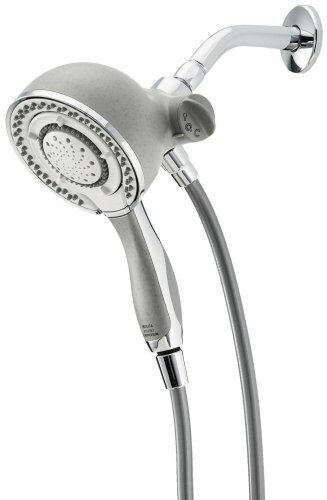 The detachable shower head is just a must because — when you’re sweaty and funky from carrying boxes up and down stairs — this is not the time to make adjustments to your bathing protocol. One needs all the comforts and accoutrements she’s used to. Do I even need to mention why Book Box 1 must be unpacked? I didn’t think so. Same for knives and spices. I can make do with any pan, but I need my knives and spices to make a comforting meal. What about you? When you move, what are the first things you need access to?